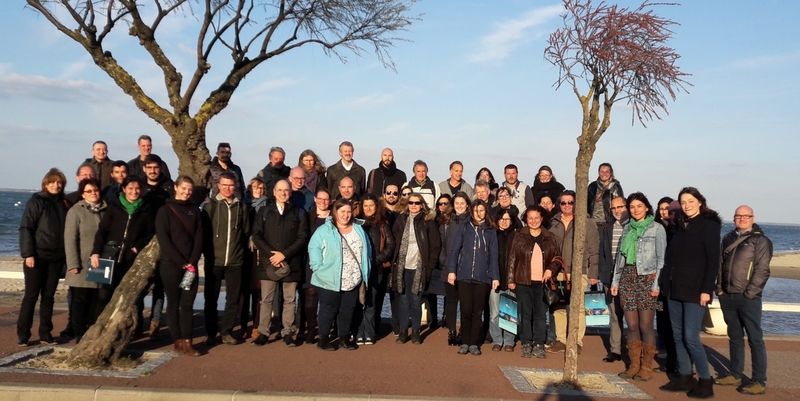 The 2019 Annual Meeting & Workshop of NRLs for mollusc diseases was organised in collaboration with the Interreg COCKLES project (https://cockles-project.eu/) on the 19th, 20th and 21st of March in Arcachon, France. Like every year, national reports for each Member State were presented and discussed during the first session of the meeting. Member states' LNRs were also invited to present any other results/ studies in relation with mollusc diseases. The meeting also included sessions on legislation, activities of the EURL, recent works on OsHV-1 and Vibrio bacteria infecting molluscs, and a session was dedicated to cockle's diseases. The technical workshop included a session on the identification of trematods in cockles, and a session on histological examination of cockle's tissues infected with different pathogens.